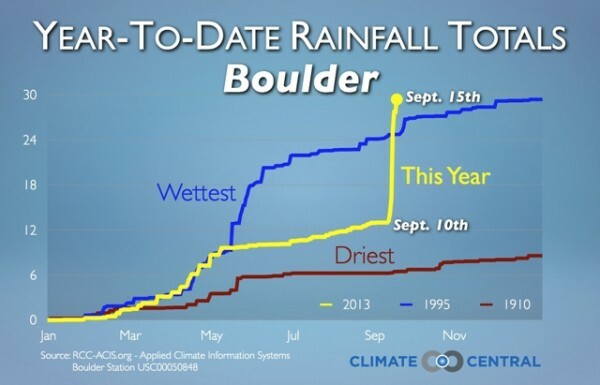 The heavy rains and flooding here in Colorado have been off the charts, even prompting the National Weather Service to describe the precipitation as “biblical” in its proportions. Because the flooding in Colorado is so extreme and generating so much attention, I wanted to offer some context by sharing some graphics and thoughts. 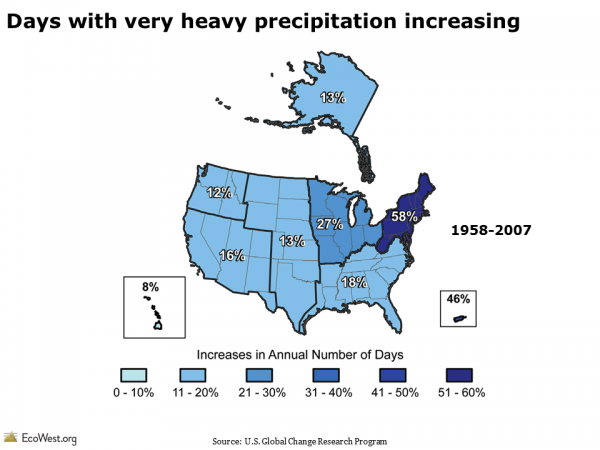 Rain and snow totals jump around from year to year, but there seems to be an increasing trend of very heavy precipitation events in the United States. 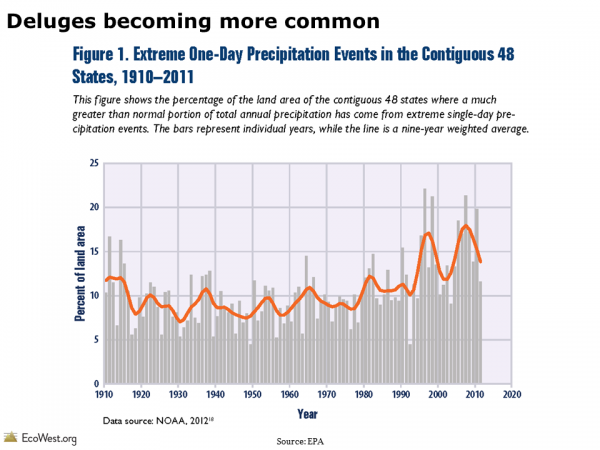 What’s more troubling is that scientists are projecting even more deluges (and droughts) in the years and decades to come. 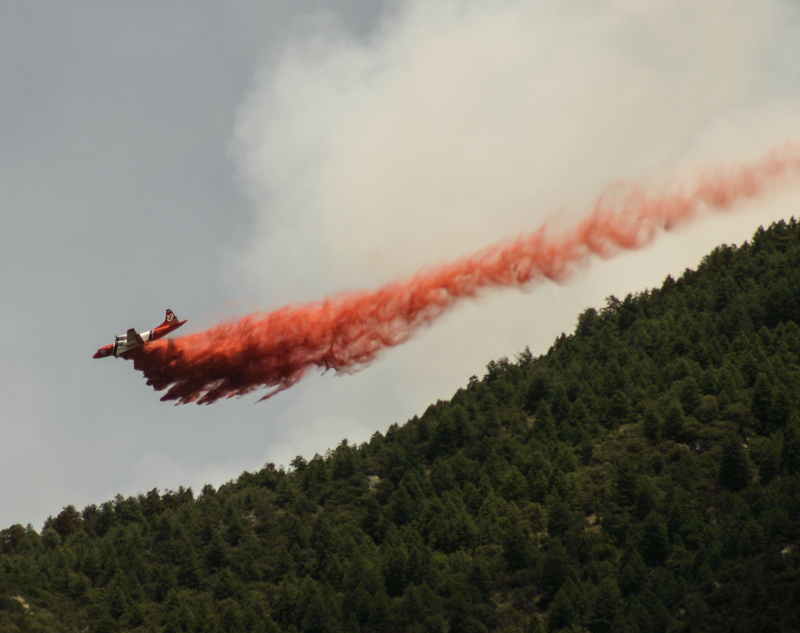 Warmer air can hold more moisture, and higher temperatures will be increasing evaporation rates, so researchers are expecting extreme storms like the one in Colorado to become increasingly common as climate change manifests itself in the hydrological cycle. 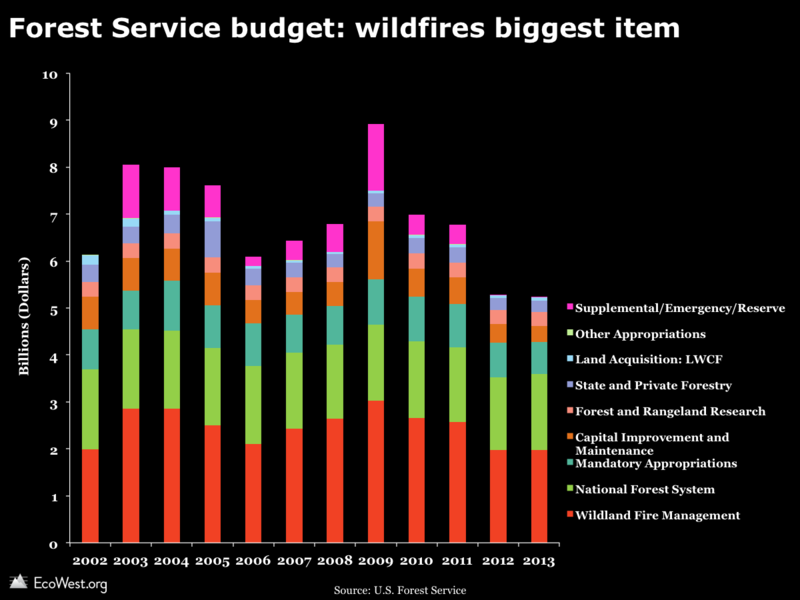 Add the growing intensity of wildfires in the West, which in recent years have charred many of the watersheds that are now flooding along Colorado’s Front Range, and you have recipe for more costly, deadly disasters. I’ll leave it to scientists to sort out whether there’s any climate change fingerprint in this event, but the projections for the future are worrisome because warming is also expected to intensify wildfire behavior in the West. 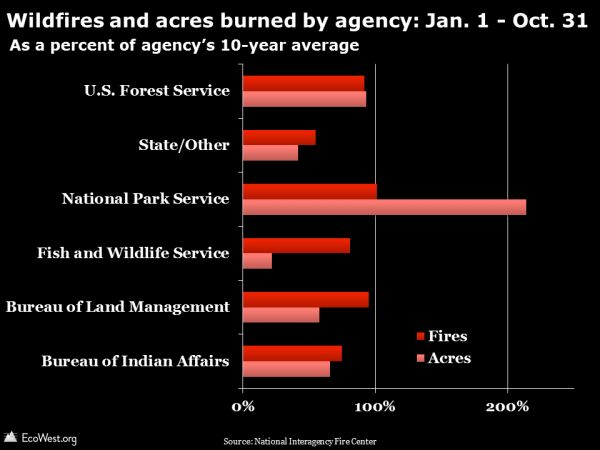 The graphic below, from the U.S. Global Change Research Program, shows the percentage increases from 1958 to 2007 in the number of days with very heavy precipitation, which is defined as the wettest 1 percent of events (the original study is here). The trend has been especially pronounced in the Northeast. 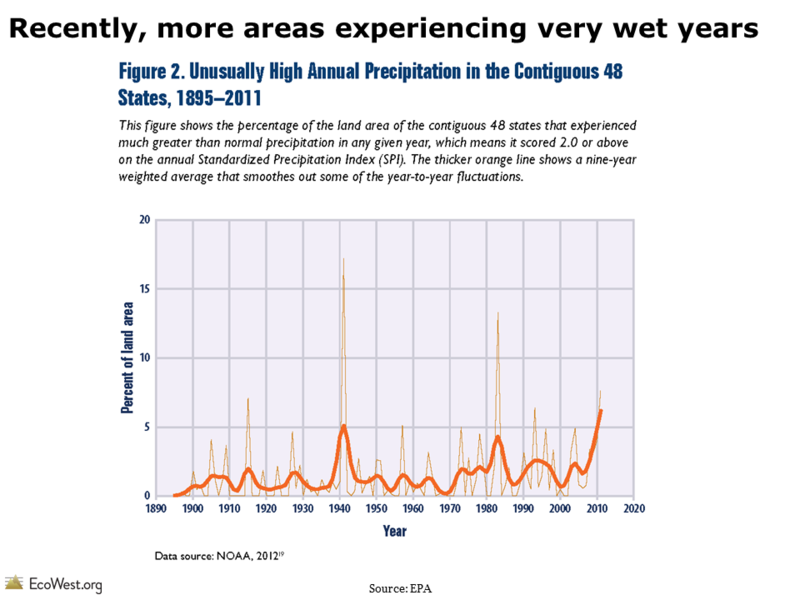 The second graphic shows what percentage of the contiguous 48 has experienced much higher-than-normal precipitation in any given year. 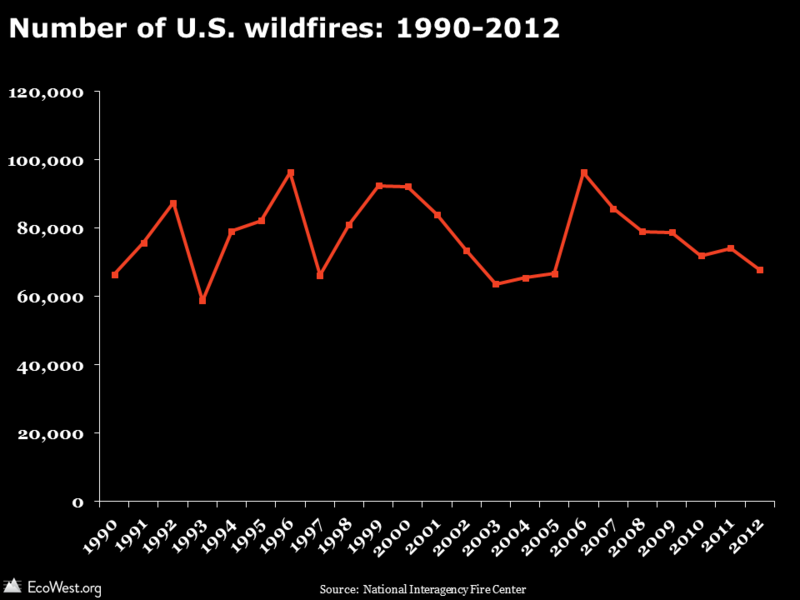 The trend is more ambiguous in this chart, but there’s definitely been a spike in recent years. 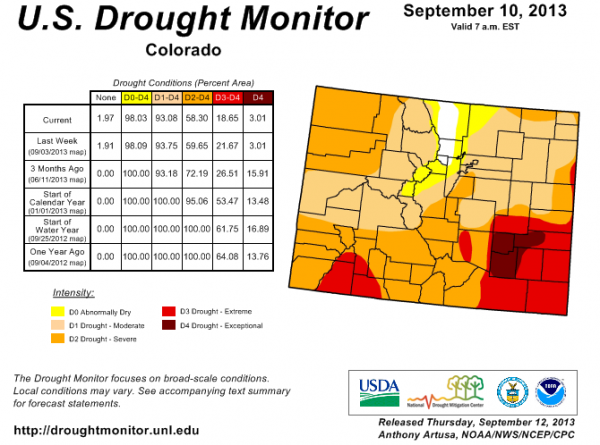 Paradoxically, the torrential rains that we’ve been experiencing in Colorado have come while nearly all of the state is in drought. Below is the latest U.S. Drought Monitor for Colorado. 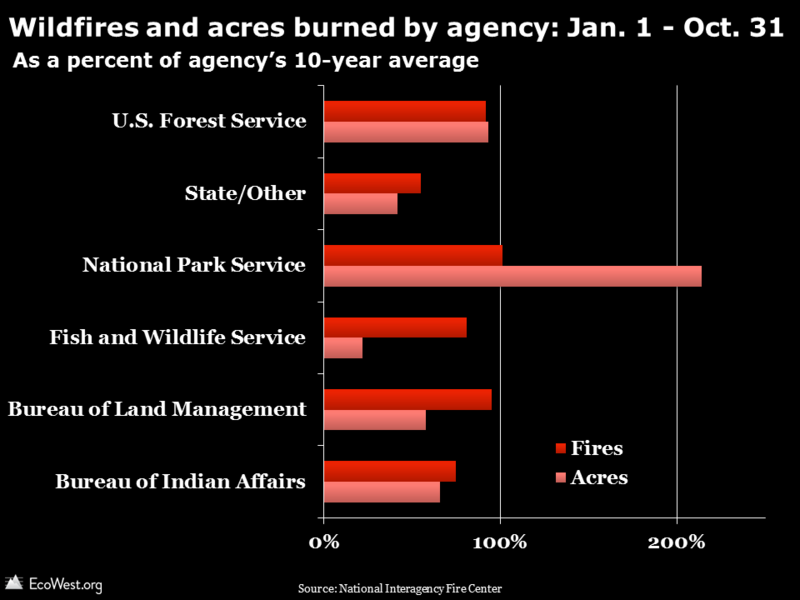 It was released yesterday but based on data through Tuesday. It’ll be interesting to see what this map looks like next week. 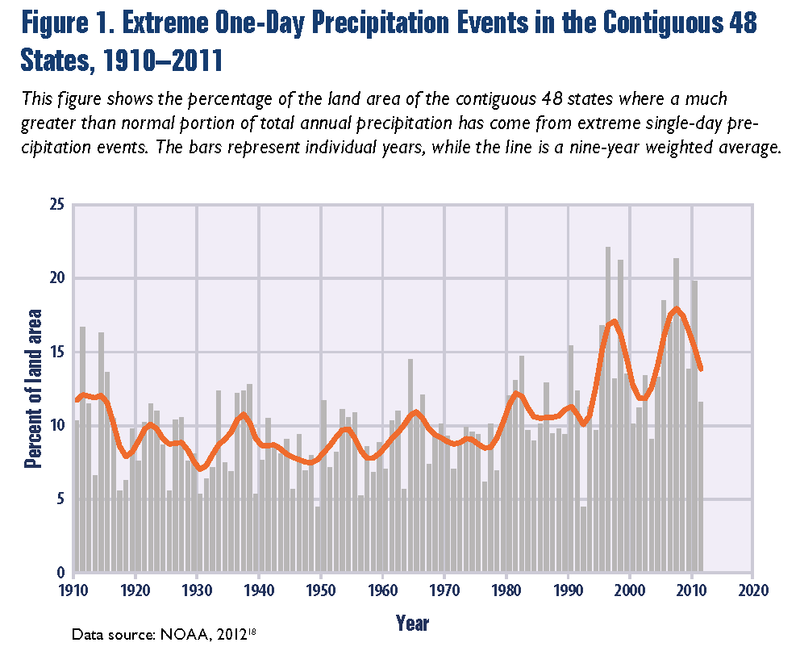 Looking ahead, we can expect deluges like the one in Colorado to increase in frequency. 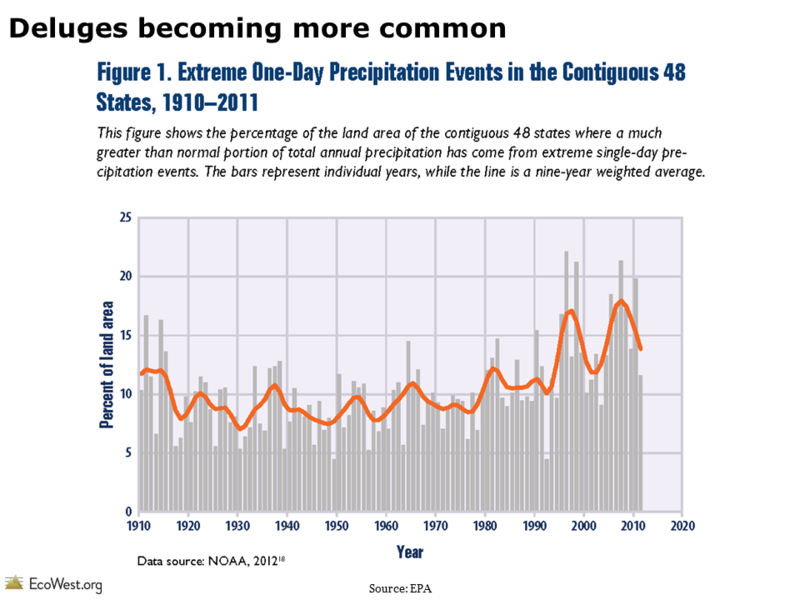 “Global warming is expected to lead to a large increase in atmospheric water vapor content and to changes in the hydrological cycle, which include an intensification of precipitation extremes,” wrote researchers in this 2009 paper in the Proceedings of the National Academy of Sciences. Overall, the Southwest and places like the Colorado River Basin are expected to get drier, while the Pacific Northwest is projected to get wetter. 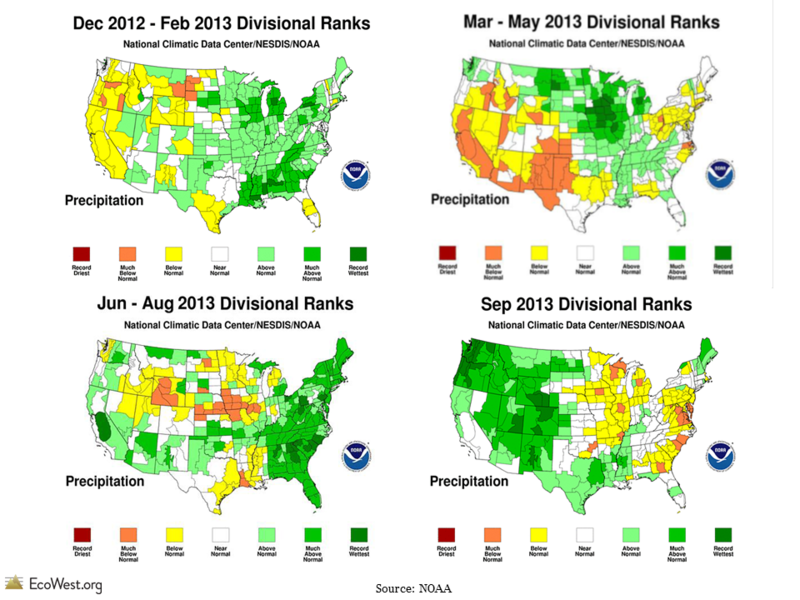 Our climate deck , as well as posts on water risk/stress maps and the Colorado River Basin Study, have more on this. The EPA and Union of Concerned Scientists provide good discussions of the impact of climate change on extreme precipitation events. 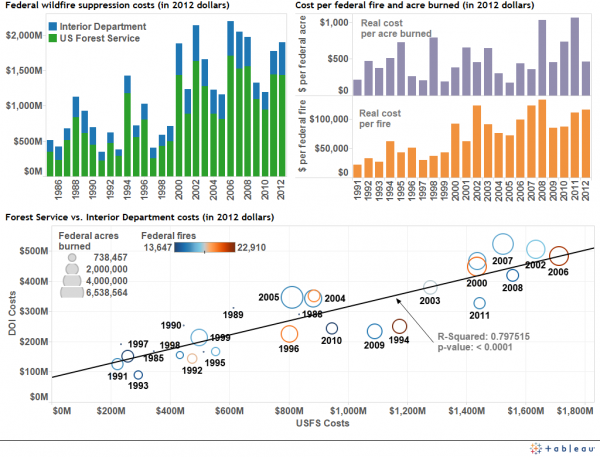 Flooding causes billions of dollars in damage in the United States annually–in a typical year, it’s the most costly form of extreme weather–so the economic implications of this trend are significant. In Colorado, the rains are finally letting up in most places and the worst appears to be over. We’ve only received about 3 inches here in Northwest Denver, but that’s actually a whopping total for us. Settlers used to call the western Great Plains the Great American Desert. The American West has always been a region where residents must navigate between the Scylla and Charybdis of drought and flood, but climate change is making those monsters more menacing. Thankfully, this once-in-a-lifetime storm for parts of the Front Range has only killed a handful of people, but that number could rise. The roar of the Black Hawk helicopter that just buzzed overhead and the stunning images of the flooding are stark reminders that this major disaster will be felt locally for years to come. 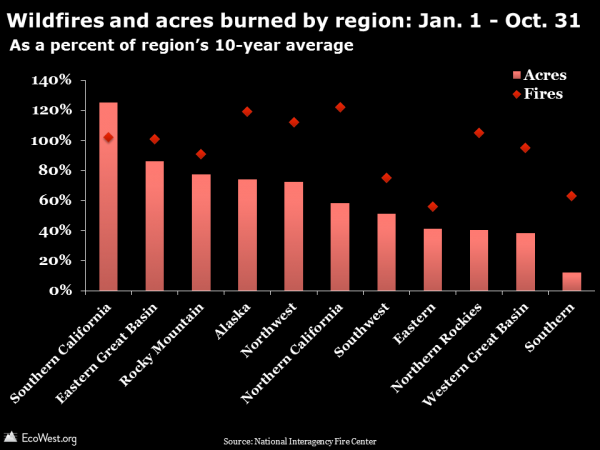 There’s also a powerful connection between the worsening wildfire problem in places like Colorado and subsequent flooding, especially during summer, when the North American monsoon taps subtropical moisture and pumps it over the Southwest’s mountainous terrain. 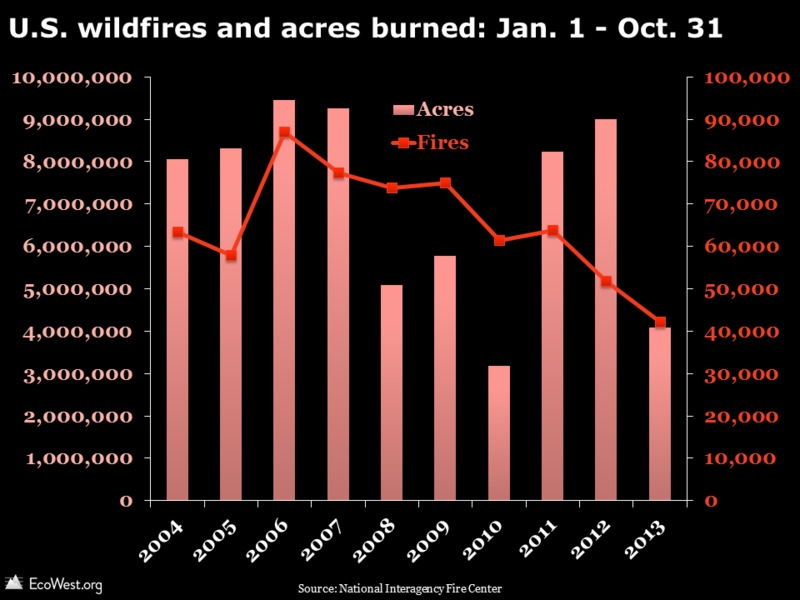 Wildfires can incinerate the vegetation that tempers the rainfall and keeps soil in place, thereby dramatically increasing the volume of runoff, sometimes with deadly results downstream. Along the Colorado Front Range, this threat has become a regular feature of the hazardous weather outlook that the National Weather Service publishes. 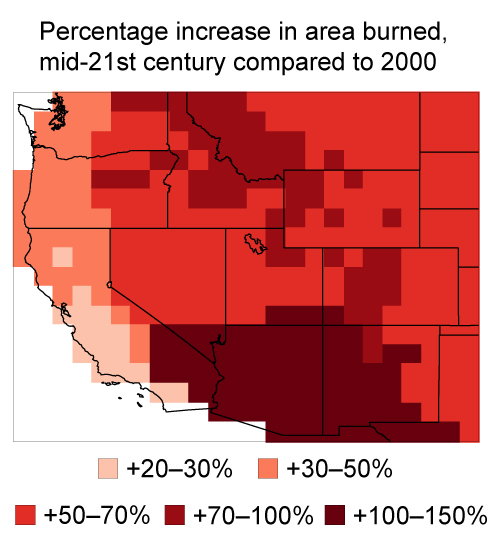 Climate change is expected to dramatically increase the amount of acres burned in the West, as shown in the graphic below from a recent Harvard study, so if business as usual continues with global greenhouse gas emissions, it looks like the ingredients will be in place for many more calamities like the one we’re now witnessing in Colorado.